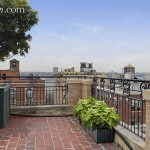 Past a semi-private elevator landing, a gracious foyer leads to a great room with living and dining spaces, access to the terrace, and those city skyline views on two exposures, highlighted by the fireplace within. 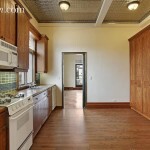 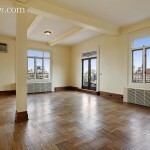 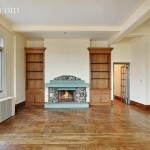 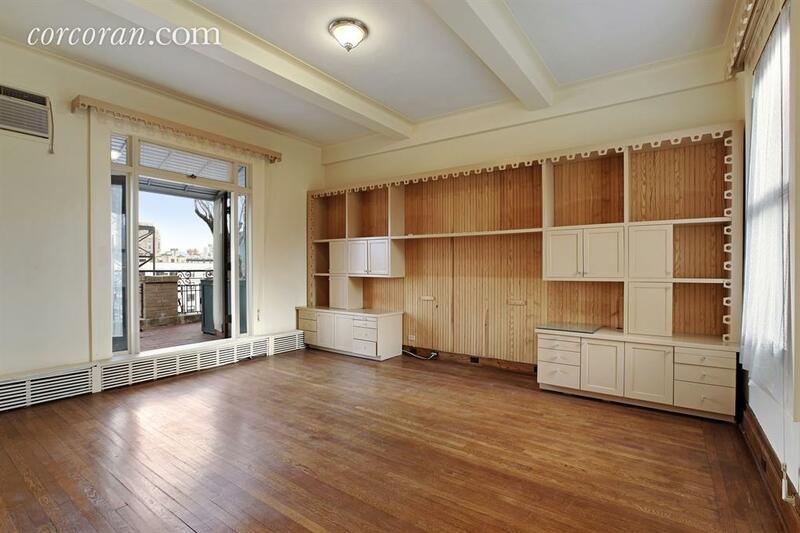 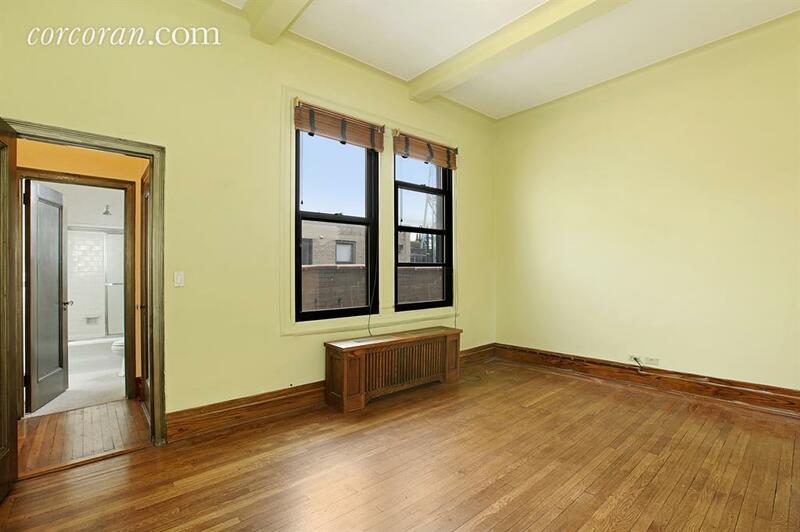 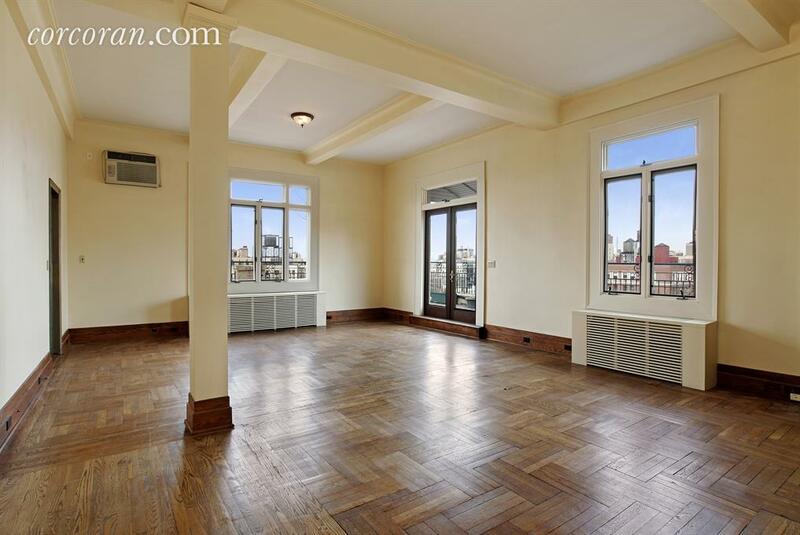 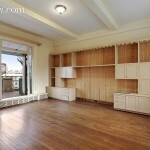 According to the listing, the home’s original six rooms were made into five. 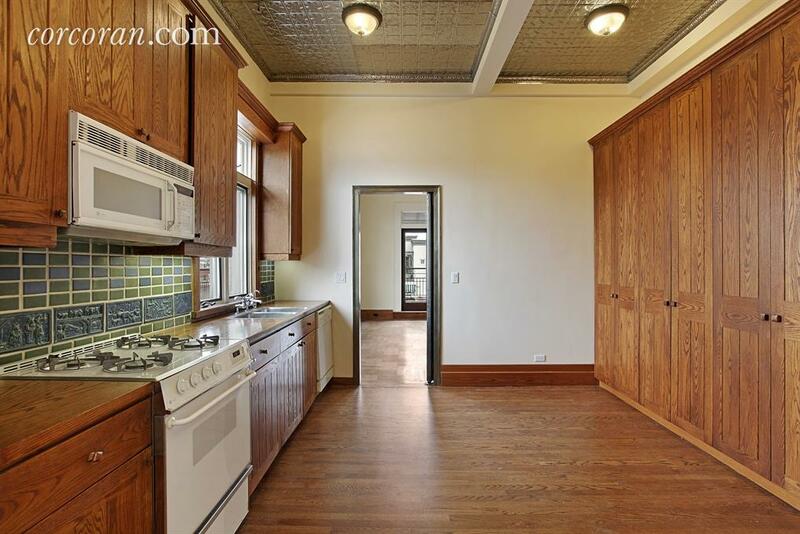 The windowed eat-in kitchen needs updating (the tin ceiling is an interesting touch), but there’s plenty of room for kitchen dreaming–though the virtually staged kitchen in the listing is hardly a step up from the current one, oddly. 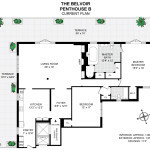 The master suite has northern and southern exposures and opens onto the terrace for nightcaps and morning coffee, and the attendant en-suite bath is huge with an oversized bathtub, spacious shower, dressing area, and a wood-burning fireplace, a cool feature you don’t often see. 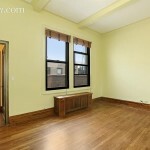 The second bedroom is also gracious with its size, closet and bathroom favors. 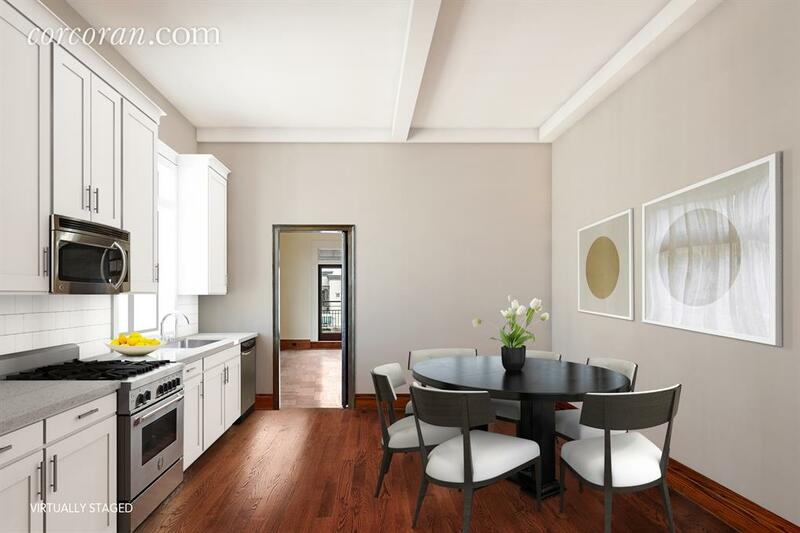 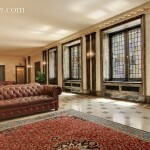 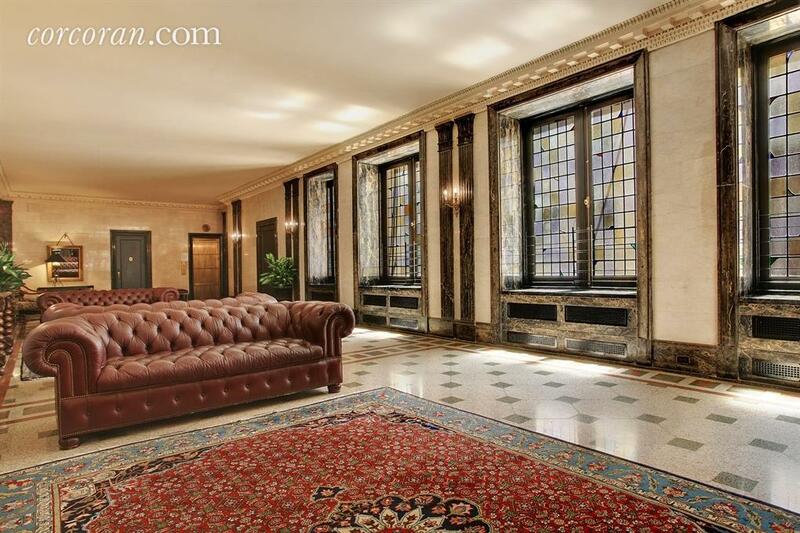 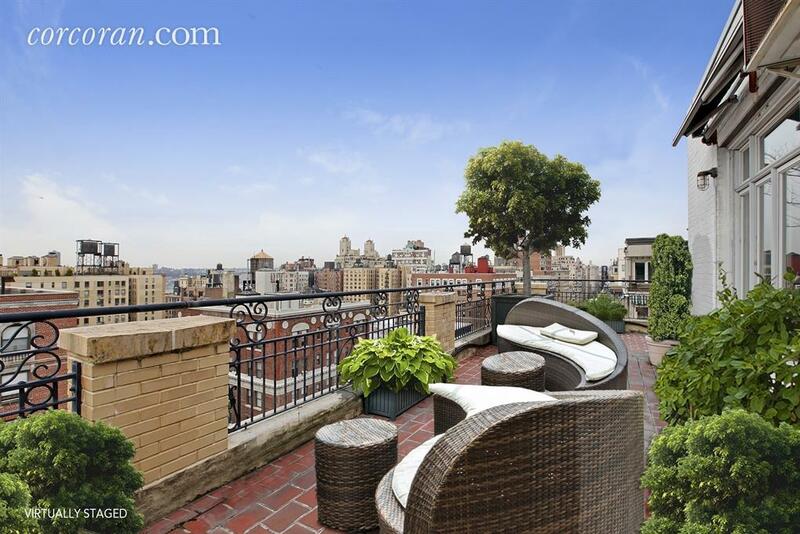 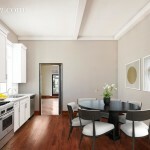 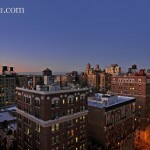 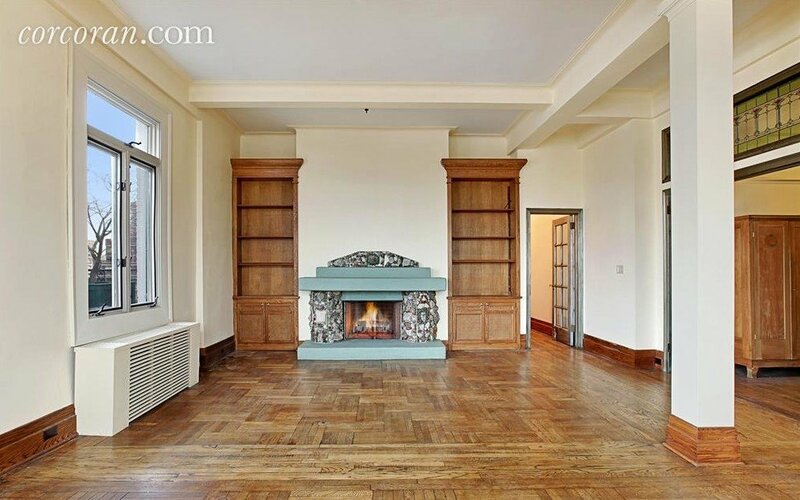 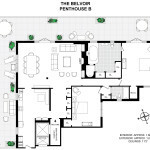 Known as the Belvoir, the building is as classic a pre-war Manhattan residence as they come. 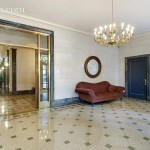 Its elegant sidewalk canopy and vaulted lobby have greeted “many esteemed residents over the years”and certainly befit a Hollywood heavy-hitter like Marshall, whose legendary brother Garry produced “Laverne & Shirley,” “Happy Days” and directed a string of blockbuster movies. 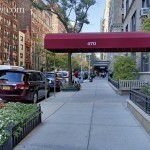 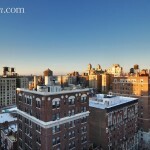 The 17-story co-op building is in a prime Upper West Side spot just a block from Riverside Park and Broadway and near countless neighborhood restaurants, shops and other amenities.